NOVEMBER 20, 2018 — Cairo, IL, fleeting services provider Waterfront Services has taken delivery of the 67′ x 28′ towboat M/V Rick Pemberton from Bayou La Batre, AL, shipbuilder Master Marine, Inc. The boat is the fourth in a series of four and is powered by a pair of Laborde Products, Inc. S6R2-Y3MPTAW Mitsubishi Tier III diesels, each delivering 803 hp at 1,400 RPM and coupled to Twin Disc MG 5321, 5:1 gears, E300 electronic controls with RW Fernstrum, Inc. keel coolers. 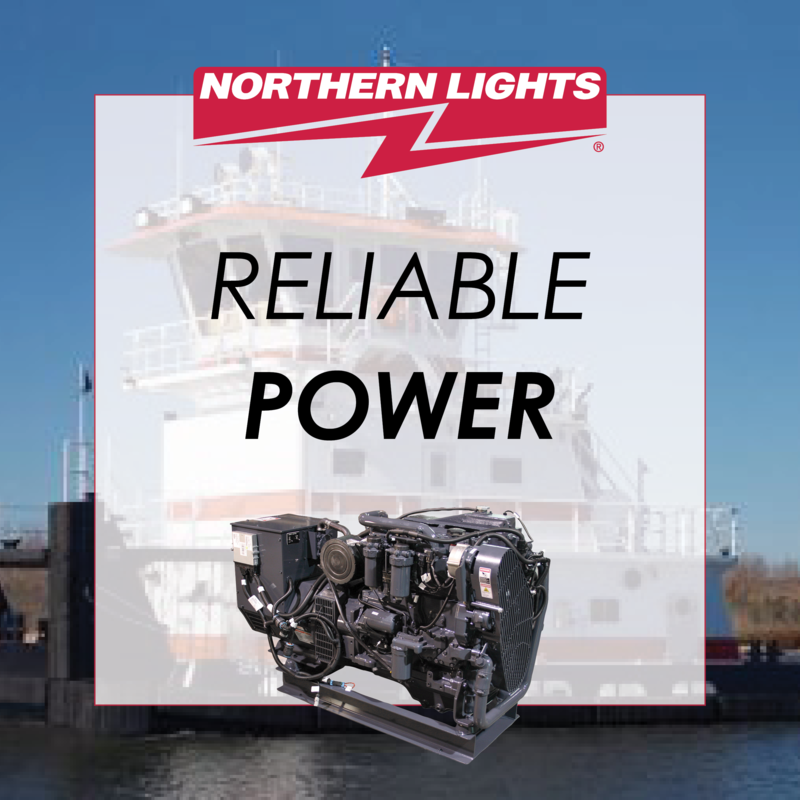 Laborde Products, Inc. also provided two Northern Lights M65C13.2S 65KW Tier III electronic controlled generators with RW Fernstrum, Inc. keel coolers. Thrust is provided by a pair of Sound Propeller Services, Inc. 70″ X 48″ X 7″ 4-blade stainless steel propellers provided thrust through two J & S Machine Works 7″ ABS Grade 2 propeller shafts with all Thordon bearings, Thorplas bushings and shaft seals. Gulf Coast Air & Hydraulics Inc. provided the steering system and a pair of Quincy F325 reciprocating air compressors. Schuyler Maritime LLC provided 11″ x 18″ rubber fendering around the entire perimeter of the vessel along with the push knees, fleet deck with Master Marine installed weld caps between all fenders. Marine Supply provided a pair of Wintech 40-ton deck winches. New World, Inc. provided all of the electronics and communications for the vessel. The towboat has a a maximum 7′ 9″ working draft and has capacities for 10,400 gallons of fuel, 4,359 gallons of potable water and 9,500 gallons of ballast water.